can an AI scientist replace Einstein? 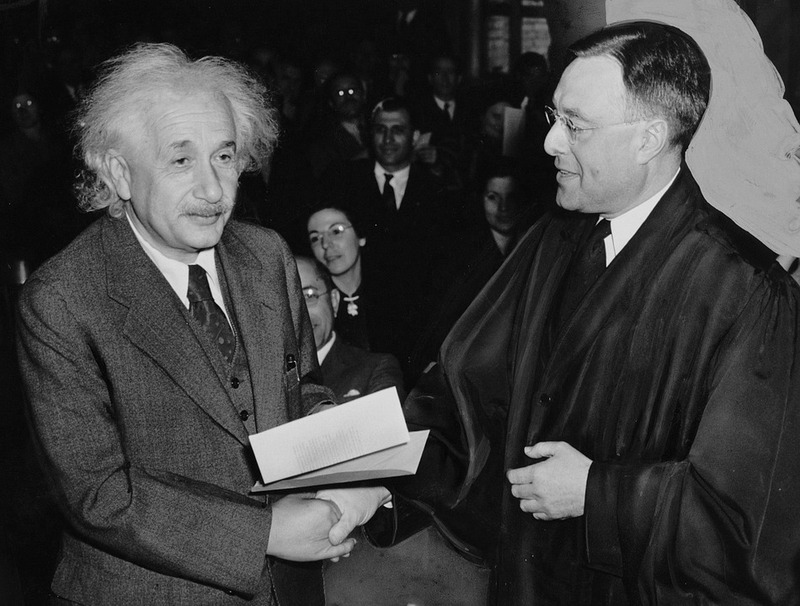 What make Albert Einstein much better than other scientists. Hope it is Space Relativity theory. When Newton stated Time doesn’t change and it remains constant in Space and Earth, Einstein had a different theory ie Time changes in Space and Earth which is Space Relativity Theory. This Time change occurs due to slow gravitational force in Space which affects the strength of the passage of time. Though we know Newton as Sir Issac Newton for his discovery of force of gravity on earth as 9.8 m/s², this Space Relativity Theory made Einstein more popular not only him but also Planck, Heisenberg, Schrodinger, Dirac and more at the dawn of 20th century. Artificial Intelligence, quite possibly, could have done even better. The only thing AI lacks is that it doesn’t have physical mind or body to connect with the ecosystem.